Ask fellow campers about "Rock Cut State Park" and nearby attractions. This is a nice state park close to the Illinois/Wisconsin border with easy access from I-90. The camping loop that we stayed in was pretty open, with a lot of spaces really close together (great for groups). The other loops we walked through, Staghorn and White Oak seemed to have some sites with a lot more seclusion if that is what you are looking for in a campsite. The park is a nice size with plenty of forested hiking and biking trails. There is also a lake in the center of the park with boat ramps. Lots of kayakers and fishers here so I would guess the fishing is decent, but I didn't get a chance during my stay. The park is close to I-90 so at night when it quiets down there is some traffic noise if the wind is right, but at the campground it was not bad at all. Also a bit of light pollution in the area from nearby Rockford and Loves Park, but still some nice stargazing is possible. The bathrooms were cleaned daily. The camping loops also offer a shower house which was in good shape. Spread out around the campground are also the standard Illinois State Park pit restrooms, not the greatest but there when you need them. 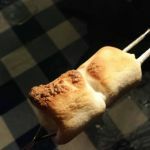 We camped at Rock Cut State Park in a Motorhome. Anderson Japanese Gardens could make a nice stop. It is also close to the Rockford Speedway. Great campground. Nice size sites. We camped at Rock Cut State Park in a Motorhome. Snow camping at it's finest. - only electric available. We needed an overnight stop on the way to warmer weather. There had been recent snowstorm in the area so called ahead to make sure they would be open for camping. They confirmed they would be open and were in the process of plowing the roads. They explained the process for self-check in, that only one section would be open and that the entrance is off 173 (note that google maps is wrong). This is a huge park and the camping is quite a drive into the interior of the park. While the interior roads were plowed very well, the campsites were not. Other than a few folks walking their dogs, we were the ONLY people in this state park. Only 2 sites appeared to have been previously plowed. We were able to unhook our toad, shovel out the electric post and back into one site through 5" of snow. Oh well, nothing like making memories! We camped at Rock Cut State Park in a Motorhome. Park entrance for campers is off 173, do not follow google map directions. Overall nice campground. Great site aside from neighbor who set up his tent on our site. It was close to showers and bathrooms which was great for our kids. There was a dumpster near by that we were worried about, but it went unnoticed. There was good separation (bushes and trees) between next site except at the very end, the tent next door went up less than 8 feet from our fire ring. We were just staying the night passing through, but would stay here again if in the area. We camped at Rock Cut State Park in a Tent Trailer. A bargain at $25 including admission (all inclusive) with electric at site and convenient 2 lane dump station on the way out. Checkin was fast, I registered at reserveamerica ahead of time to speed up the process. This is a large park with paved bike trails, a lake, lots of different camping loops, and picnic areas. Only a few miles from Target and other stores. Raceway noise was not a big deal although one should be aware of the possibility of it occuring. Very convenient location. Friendly agent at front office. We shall return. We camped at Rock Cut State Park in a Motorhome. The paved bike trail was very good. Woodsy and plenty of distance to get some badly needed exercise. The nicest and largest Illinois state park in Northern IL! It has a great lake and tons of hiking trails! We camped at Rock Cut State Park in a Motorhome. Nice, large park. Our loop was really small and in my opinion the best because it was small. Good space between sites. Electric only. Nice staff. 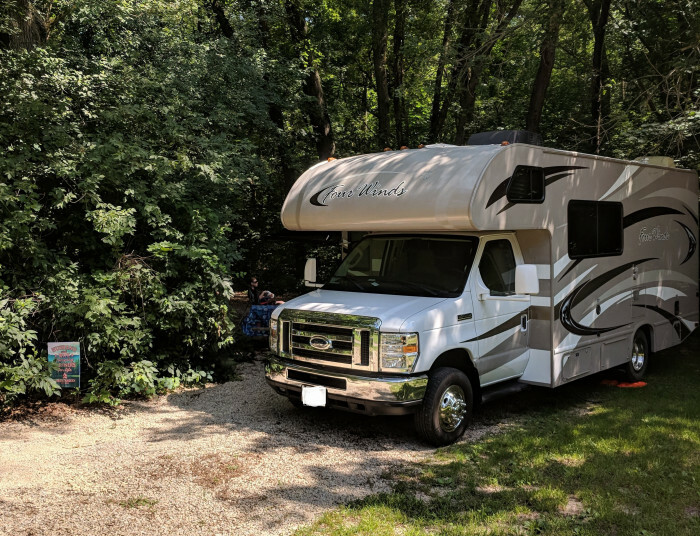 We camped at Rock Cut State Park in a Fifth Wheel. Speedway is nearby, go see a race! It was fun, but when we got back to the park found out it closes at 10:00. We had to park and walk in the dark back to our site. First state park we've been to that does that. Our fault, there is a sign that says so, we just didnt see it. No problem, we had a flashlight. We've been full-timing for 3 months and this was the worst park we've been at. The person at the front desk was friendly, but kept confusing credit cards, site numbers, etc. We were in the "100" numbered campground section which I would avoid at all costs. All the other sections had level sites. We "tried out" 4 sites before finding one we could make work because they were all so sloped. We watched other people come in and get super frustrated with their site. Some people left and came back with wood to raise their trailer or RV. The bathrooms had a flimsy shower in the center of the restrooms. The men's restroom had a sharp metal rusty bar down the center and was dirty. If you stay in the 200-500 section campground area you'll have level sites and cleaner bathrooms. Avoid the 100 area! We camped at Rock Cut State Park in a Motorhome. This is the first time we have camped here in a few years. The sites are pretty typical for Illinois state parks - not as large or private as we would like, but are manageable. Looking forward to staying here again when we visit with our son. We camped at Rock Cut State Park in a Travel Trailer. A lot of the sites are not real level - bring your leveling blocks. Lots of nearby shopping. Very friendly service, there is seasonal campsite supervisors here and they are filled with knowledge of the area. 100's of miles of trails, boat rentals, a concession stand that has burgers and tons of Great food. Plenty of fishing spots and quite possibly the best scenery within 500 miles. We camped at Rock Cut State Park in a Travel Trailer. Very close to shopping for any needs forgotten at home. Not too bad for a state facility in a state that suffers from deep budget cuts. Sites fairly spacious, good dump station, and interior roads. It's the exterior roads that make just getting into the park a real hassle. The roads by both entrances are completely torn up and under construction, and, unless you come from the Tollway, extremely bumpy and rough. 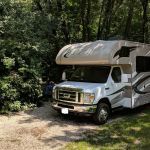 We camped at Rock Cut State Park in a Fifth Wheel. Beautiful park, very private sites. It felt like we were alone in the park. Very clean, including the bathrooms. A special place close to Chicago. Stayed only one night. Would come back. 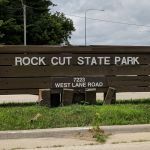 We camped at Rock Cut State Park in a Travel Trailer. Rate reflects senior discount (50%). A very nice state park with good roads. The area is hilly, so most sites will drop off from front to back or visa versa. This can be problematic for a motorhome where the rear tires must remain on the ground to hold the coach in place. I had to run the tires up on about 8” of boards to hold traction. Contacting the park for information on a site for a motorhome is recommended. The large trees eliminate satellite in most areas but local air signal has all the major channels. Verizon showed 4 or 5 bars. Sites are mixed use with tents beside RVs. Sites are 50-amp. A good dump station is near registration. We were there in July and there was heavy use of the park. There is a reduced rate for seniors and the on-line registration is good; there is a $5 registration fee. Likely we would stay there again. Rating lowered only because of the unlevel sites and issue getting information. We camped at Rock Cut State Park in a Motorhome. The roads into this campground are paved, with gravel sites. Our site 126, was not very level. When trying to level our motorhome using even trying our leveling blocks, the front wheels ended up off the ground and we still were unable to level the unit. We walked around and noticed that many of the sites are not level. There are handicapped sites that are paved which do appear to be level. The shower house was on the cool, but did stay on for about 30 seconds at a time. The state park is beautiful and there is tons to do. There is fishing, swimming, biking, hiking, and wildlife viewing. While in the campground, we saw three turkeys, several rabbits, and a raccoon. We would probably camp here again, but would definitely seek out a more level site. We camped at Rock Cut State Park in a Motorhome. Still one of our favorites! We got in late, but were able to get parked and connected easily. Love the loops, as it feels like a much smaller park. Great overnight spot (as this was for this trip) right off the tollway, and even though no pull-throughs. Used their new dump stations on the way out--excellent! They are wide, level, easy in and easy out. We camped at Rock Cut State Park in a Motorhome. 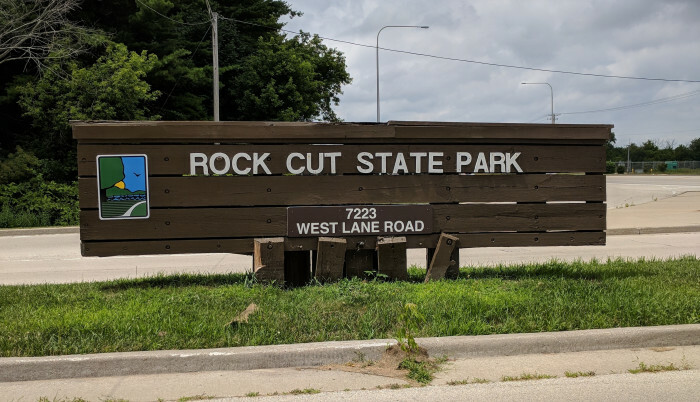 Are you affiliated with Rock Cut State Park ?